Congratulations to all of the winners & lifetime achievers at the 21st NSW Sport Awards, held last night 18th Feb, at Curzon Hall. 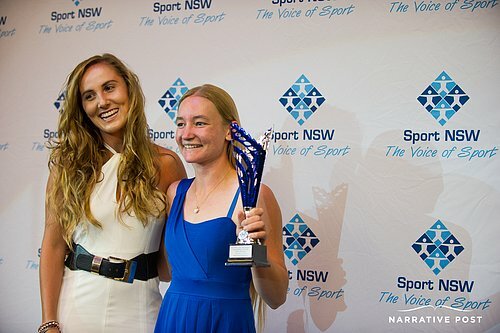 Jessica Cronje winner of NSW Young Athlete of the Year with a disability award. 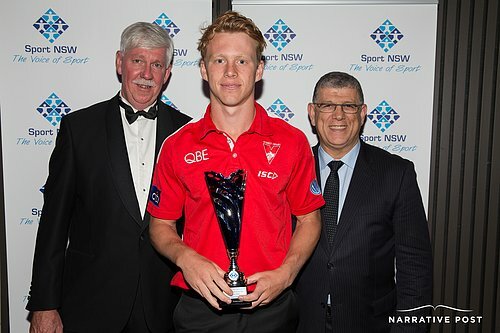 Callum Mills (AFL) wins Young Athlete of the Year. The full set from the evening can be viewed on this site under events. So often when commissioned for portraits of executives & business owners, we are told "its just a head shot, it should only take 10 minutes" And a lot of the time, especially when photographing large (10+) teams, we do provide that service. The head shot for every team member, that looks similar for consistency on their website, social media and marketing material. But for leaders in their field, up and coming leaders, or those that want to stand out from the crowd, we always take a different approach. Infact we insist on it. The difficulty of allocating an hour for a photo shoot into an already tight schedule is a worthwhile challenge. Having more than a 10 minute headshot is important when increasing your profile online and within the media. In the end its the published image and the variety of them, that assist in building your profile and your brand. The time taken in a photoshoot is more than just about setting up a new scene, change of clothes, hair & makeup,props, angles etc. Its about the subject becoming comfortable, feeling at ease and influencing the off the cuff ideas that are then executed. You can be contrived and controlled in setting up a photo to the most minuscule detail, but capturing that authentic expression from your subject is what you are really striving for. That is what makes a great portrait. Jane Huxley - MD of pandora Radio. Take control of your visual presence in 2016 and make a booking for your portrait photography session. We offer in studio photo shoots at our St Peters studio, or we can come to you. Contact us at info@narrativepost.com.au or call 02 9591 5030 for more information. Thrilled to finally show you the photographs we took of the new range of aprons launched recently by The Apron Studio. To maximise the use of photography & models' time, we secured the use of a gorgeous Elizabeth Bay apartment (thanks Norma) as the main location. Here we set up a studio back drop for product shots, and 4 separate scenes utilising the location for the lifestyle photos. All in all a fun & productive day of photography with beautiful results.